Hello again Stampers! Hope your Sunday is going good. 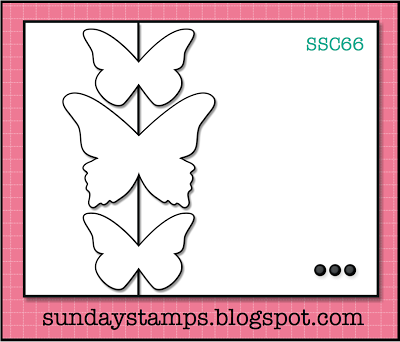 If you haven't already, we would love for you to join us at Sunday Stamps and play along with us. My fellow Design Team Member Steph created this great sketch as inspiration. We love to see what you create, check us out here. Wanna Be a Guest Designer? Submit an Inspiration Photo to us for a future Color Challenge and if we pick yours...You'll get to join us as an Guest Designer! Please email your Picture and Color Combo to sundaystamps@gmail.com . We can't wait to see what you pick!